By responding quickly and efficiently our clients are able to avoid future crises and costly losses. perform basic background-search of persons from the sample. written-off account receivables deliberately becoming time barred due to statute of limitations. 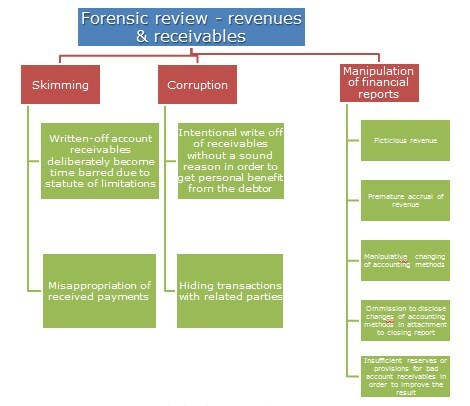 Additionally, 4 immediate measures were also recommended including thorough investigations of identified suspected frauds together with subsequently establishing civil and criminal liability of involved persons.